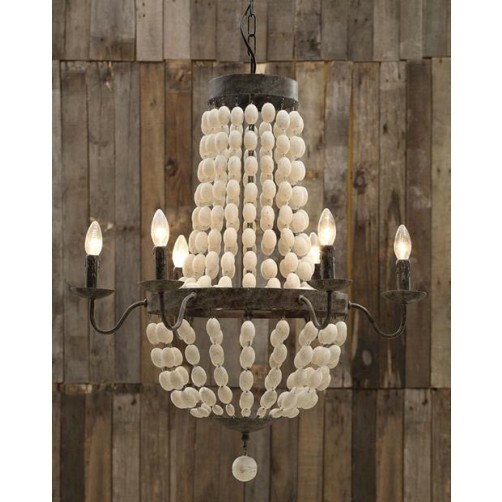 Bring your passion for all things architectural and time worn into the cottage with this gorgeous hand beaded chandelier. 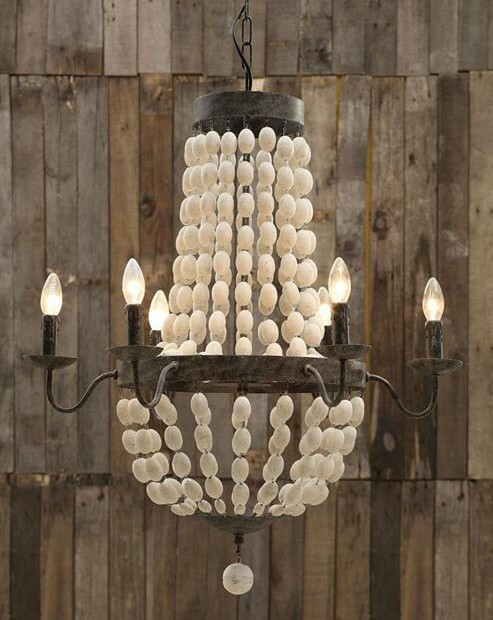 The classic and distinctive style of the delicately curved arms for lighting fixture look chic whether hung in the dining, living, bedroom or entry way. 30" Diameter x 39"H 6 lights. Bulbs not included 40 Watt Bulb maximum. Hard wire only.